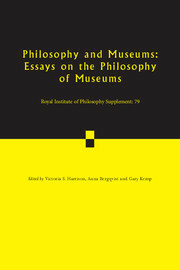 This is a series on key philosophical topics arising from the Royal Institute of Philosophy annual conferences and annual lectures. Also available to institutional subscribers as supplements to the leading journal Philosophy, books in the series are edited collections with contributions from some of the world's leading philosophers. The books are written in a clear style that makes them accessible to scholars in other disciplines and to general readers. Topics covered include naturalised philosophy of mind; aesthetics, ethics and value; and philosophy and public affairs.